Recently I won a Fly Marcos in a raffle, those have a front motor and slightly wobbly stub axles, so they are not the best runners. I needed an excuse to try a printed chassis and this was it. I ordered the Olifer chassis that is made for the Fly Marcos and it was delivered on the promised date. The chassis was just about perfect as received. The only changes that I made were to shave the bottom of the guide flag holder and to sand the sides of the chassis a little. 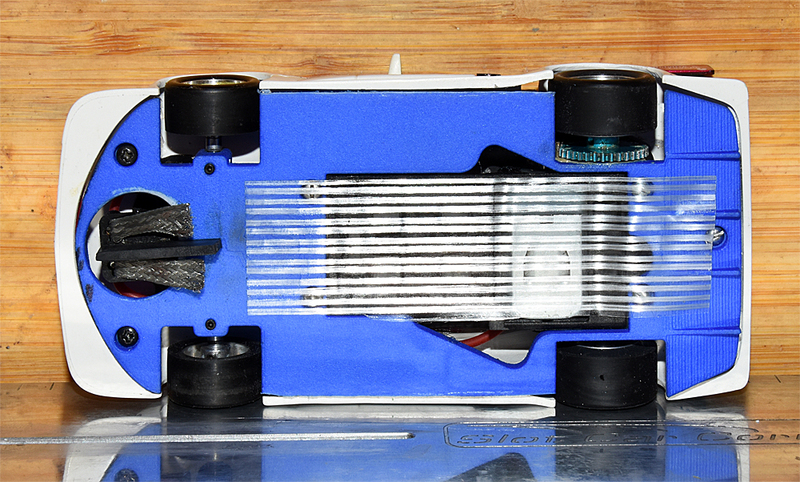 The car turned out to be much lighter than our rules permit, I did add some weight to the motor pod for a start, but the car was still a bit light when I tested it last night. The car looks to be a good runner, but it wants to tip at the limit, enough lead low in the chassis to bring the car to the minimum weight limit should fix that. Great work, it certainly looks as good as it should! What interior did you use? I was trying to lower the CG, but I had to use the dash and rear deck portions of the original interior to hold the glass in place. The rest of the interior is a Champion vacuum formed tray type. I don't have my own 1/32nd track, so I am only able to try out cars on race night. I added a little weight to the Marcos to bring it up to the minimum and also moved the weight that was on the top of the motor pod to the bottom. The car really sticks now, it is a dream to drive. One of the other guys took the car for a spin and really liked it. 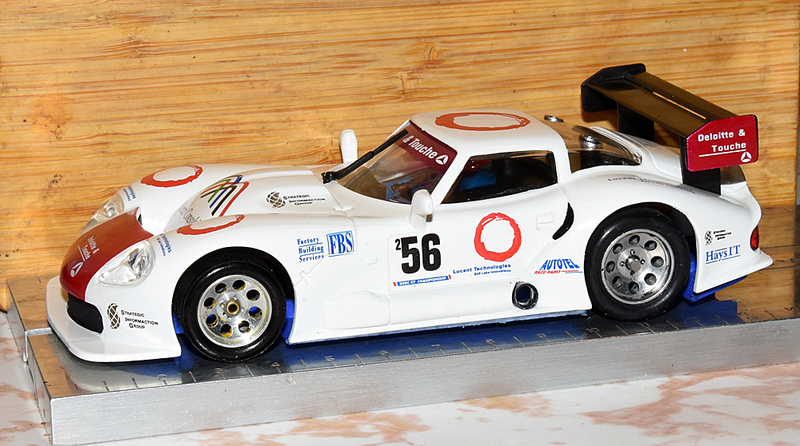 I was surprised that most of the guys were not aware that printed chassis were available for a fair number of cars. Most of them have some cars that are not competitive, so they just sit on the shelf.